Qualcomm, the U.S. manufacturer of computer chips for communication devices, has lost a 10-year legal battle against a W273.2 billion fine from Korea's Fair Trade Commission. The Supreme Court here ruled Monday that a minimum W200 billion fine is reasonable (US$1=W1,125). Qualcomm was nabbed by the FTC for offering cut-price chips to Samsung and LG from 2000 to 2009 on condition that they used them exclusively, while charging other handset makers excessive royalties. The size of the fine was unprecedented at the time. 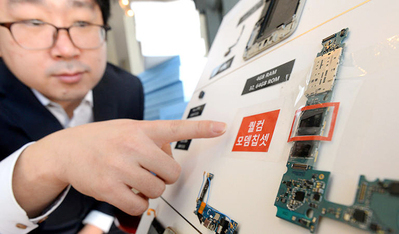 Qualcomm countersued, and the Seoul High Court in 2013 sided with the FTC. The Supreme Court upheld most of the lower court's ruling.